All transactions are safe and secure with a reliable history in online purchasing behind each of our associates. 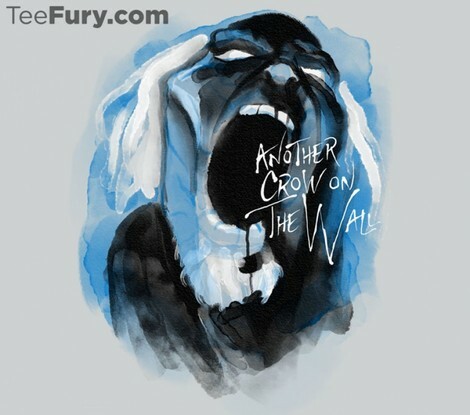 Buy the Another Crow on The Wall t-shirt to own Game of Thrones clothing and merchandise. This Game of Thrones Pink Floyd t-shirt is a creative mashup that's the perfect tribute to the TV Show and the English rock band. Get it and tell your friends that Winter is Coming, House Stark's family words from the show. Wear this Game of Thrones Another Crow on The Wall shirt to let everyone know that, like Jon Snow, you are just another Crow on The Wall. In addition to the Another Crow on The Wall tee above, browse the Game of Thrones Clothing Gallery for more apparel like men's and women's clothes, kids shirts or hoodies.